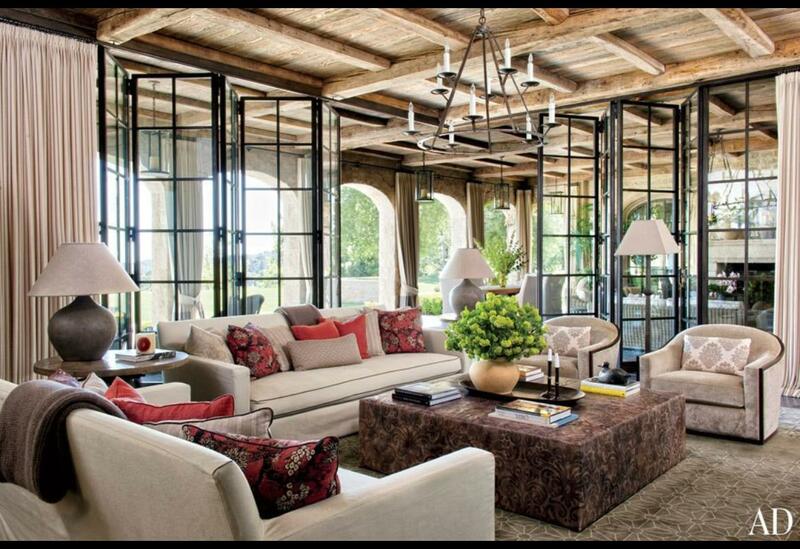 Gisele Bündchen and Tom Brady’s past eco-friendly mansion (Brentwood, California). (ph. courtesy Architectural Digest and Landry Design Group). 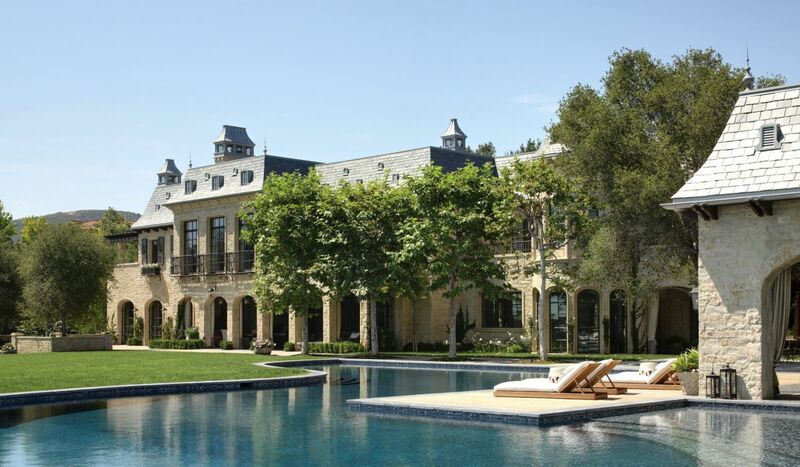 (Dr. Dre, the Compton born rapper is now the new owner of the mansion). The mansion is actually quite sustainable with solar panels installed on the roof, rainwater recovery systems, waste reduction and recycling programs, energy-efficient lighting and appliances and eco-friendly building materials. The Old World-inspired imported limestone mansion on 4 acres is a truly pa latial retreat, with reclaimed cobblestones in the motor court, waterfalls and ponds, and views of the Pacific Ocean. It has 5 bedrooms and 9 bathrooms. It was built with reclaimed ceiling beams, antiqued floorboards, antique doors, and marble fireplace surrounds.